I’ve been feeling a little nostalgic recently. I think it’s something to do with the gloominess of January (believe it or not, despite living in the middle of the desert, I haven’t seen the sun for days! ), coupled with the fact that I’m missing home a little bit after having such a fun time back in the UK last month. To cheer myself up last night, I snuggled up on the sofa under a blanket with a cup of tea and flicked through some of the old, smudgy scanned photographs from my childhood that I brought out to Doha with me. For a good hour or so, I reminisced. Here are six of the memories that were brought to mind which made me smile the most. 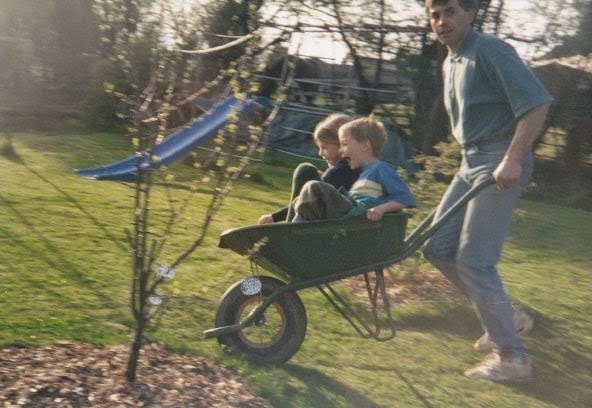 My brothers and I lived with my mum and stepdad in a picturesque Victorian house in a tiny village in the Northamptonshire countryside until I was 14. 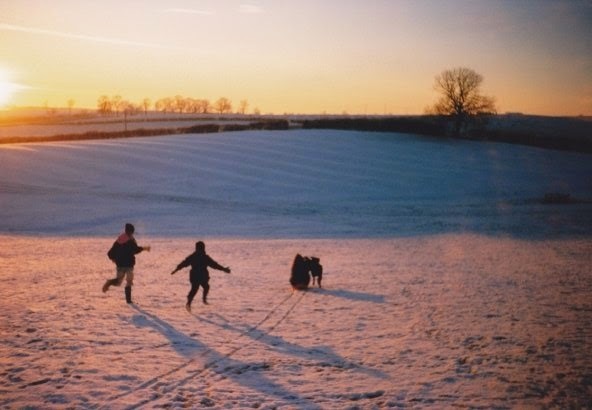 We all attended the village primary school, played with friends at the local park, and spent hours in the fields around our house, walking, riding our bikes and sledging in the winter. 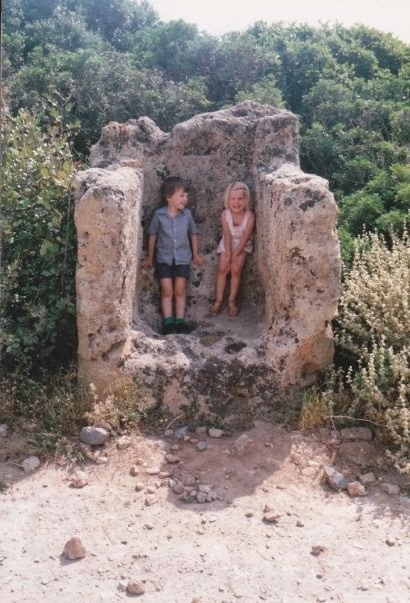 It was before the time when parents became too scared of the consequences to let their children play out on their own, and as a result, my siblings and I embarked on many fun adventures. The countryside, our house and our big back garden will always hold a special place in my heart. We had a small farmyard of pets when I was growing up: rabbits, guinea pigs, hamsters, cats, chickens, and more recently even a snake…! But allow me to introduce you to my favourites. Jess was the friendliest black labrador you will ever meet. In fact, she was so friendly that when visitors came to the house, she would excitedly bowl herself at them, almost knocking them over, jumping up to rest her feet on their shoulders, her wagging tail sending ornaments flying. Conversely, if you lay down on the ground with your eyes closed, she would pace around you, whining and licking your face to make sure you were OK. She would have been the world’s worst guard dog, but she was the most loyal of companions. 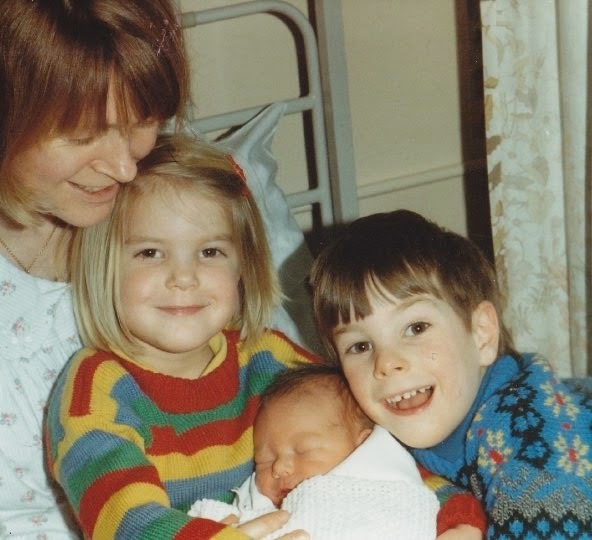 Here she is with my mum, my older brother Tim and me on the day that we brought her home. 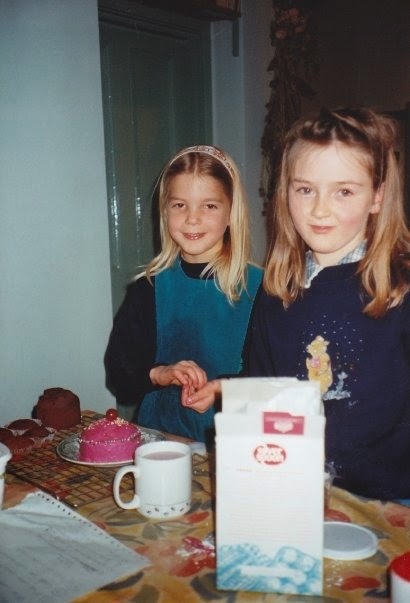 (I’m sporting the same gormless expression that I’ve carried with me into my twenties!). Then there were my cats: Tomasina (who we originally thought was a boy and named Tom) and Orlando (who was so fat and fluffy that my mum used to joke that we should keep him inside in case the hunt that rode by on a Sunday mistook him for a fox). 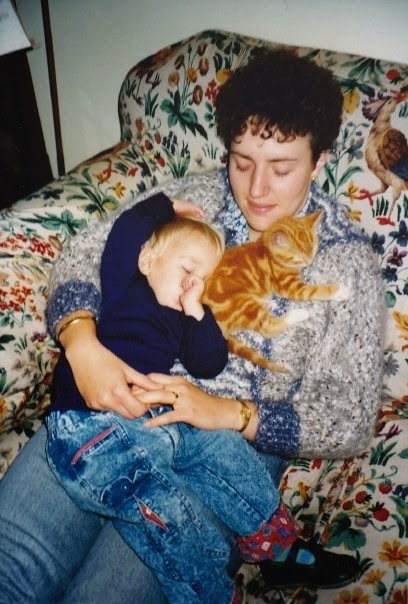 Here’s Tomasina as a kitten, having a cosy-looking nap with my younger brother Joe and the babysitter. And later, Bethany, Helena and Benjamin. 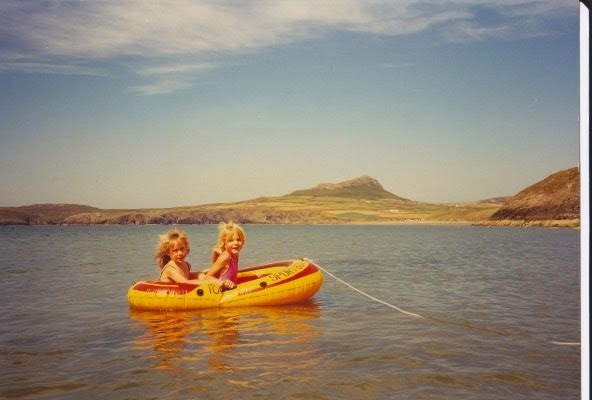 We went on a range of holidays when I was younger, from trips to France, Crete and Lanzarote, to camping in Wales, and I have fond memories of them all. They usually involved lots of fun activities, long walks and the forging of some really tight friendships with other children, making it pretty difficult to say goodbye when the fortnight away came to an end. 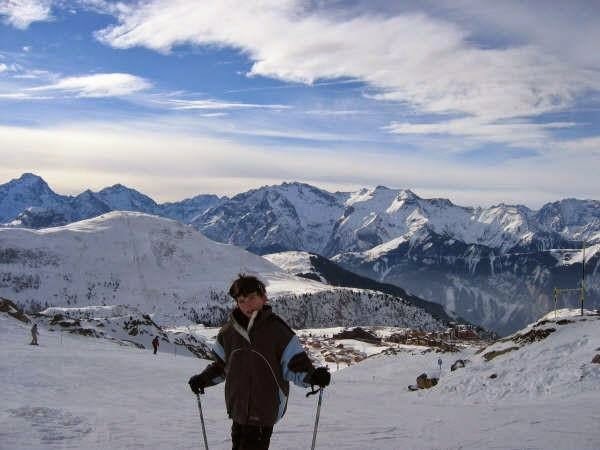 I’m certain that these holidays are the main reason why I’m so addicted to travel now! When I was younger, most of the time that I spent with my friends was spent inside my wendy house. 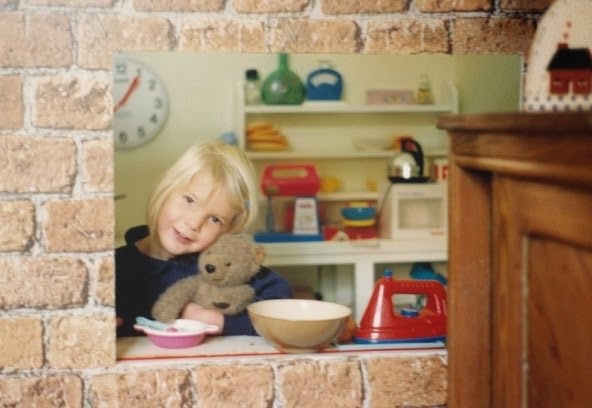 This little faux-brick chipboard construction which sat in one corner of my playroom was my pride and joy. Inside, I would wile away the hours at the weekends with a friend from school or the village, lost in our own world of make-believe. Its miniature shelves and cupboards housed a numerous plastic foodstuffs and multitude of kitchen implements that I’m not sure I quite knew what to do with at the time. In fact, rather embarrassingly, it had a better stocked kitchen than the one I have now. 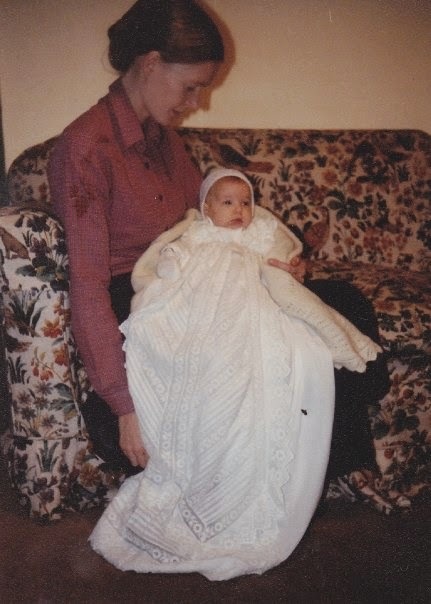 If you’ve been following my blog for a while now, you’ll know that I think my mum (‘Mummy Bags’) is pretty awesome. She encouraged us to take up new hobbies and musical instruments, and drove us for miles to attend lessons, recitals, matches and rehearsals. 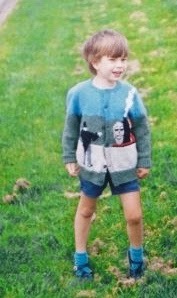 She used her artistic talents to make us capes and toy horses, dolls houses and jumpers. She threw awesome birthday parties. She taught us to appreciate the countryside and the world around us. But best of all, she encouraged all of us to reach our dreams in life. 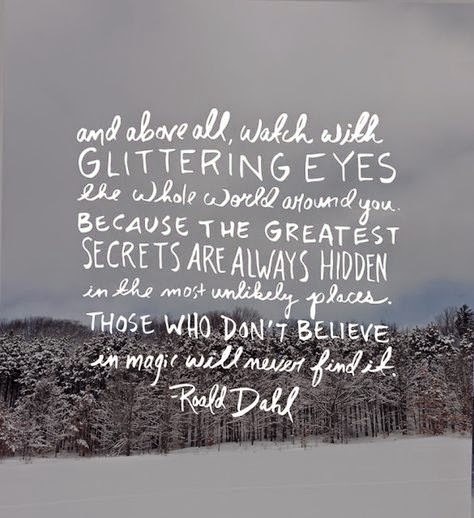 Thanks helping us to have a magical childhood MBs! 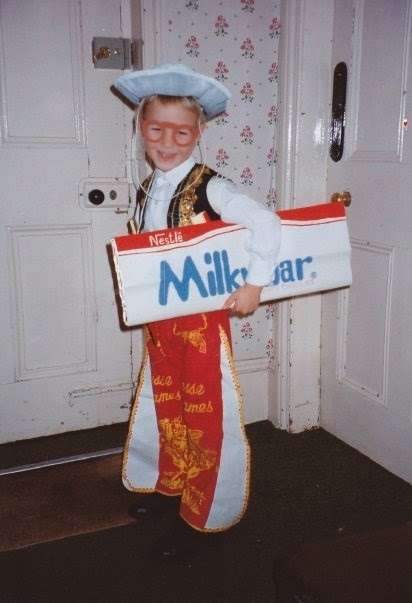 It looks like you had a really lovely childhood! I can't believe you're one of seven! It must be so nice to have so many brothers and sisters – I've got one sister 🙂 But we're only 17 months apart in age so we used to play together lots when we were younger. We read a lot of books, played with our barbies and loved Disney :). 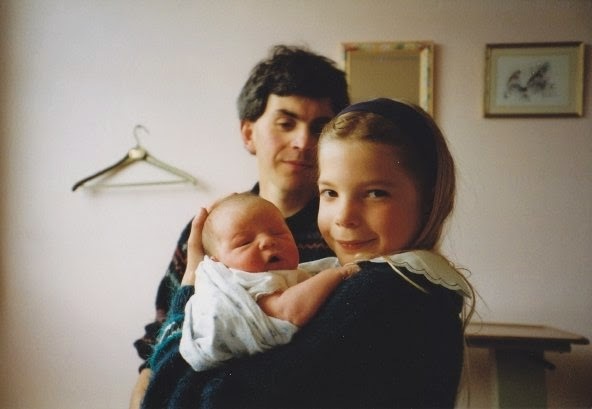 It's great, but expensive at Christmas 😉 So nice that you two are so close in age – I always wanted a sister because I lived with three brothers all my life! 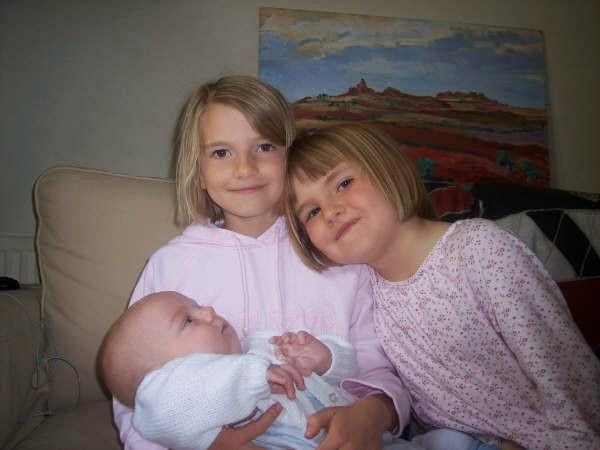 Was so happy when my dad and stepmum had my two younger sisters. Sounds like you both had a very 80s/90s upbringing like me. Loved Disney!! Beauty and The Beast was my absolute favourite. Lovely post! I'm not sure I should say this after your comment about the gormless expression, but in that photo with Jess puppy, you look just like your grandmother! Well, a tiny, blonde, gormless version of your grandmother, at any rate.